We just enjoyed a nice long relaxing weekend in Miami and now I am back, ready for another stretch in the sweet kitchen. This cake takes its name from Vienna's famous Sacher Hotel. It came into prominence during the time of the Austro-Hungarian Empire when the emperor requested a pastry that he could easily ship to his embassies. 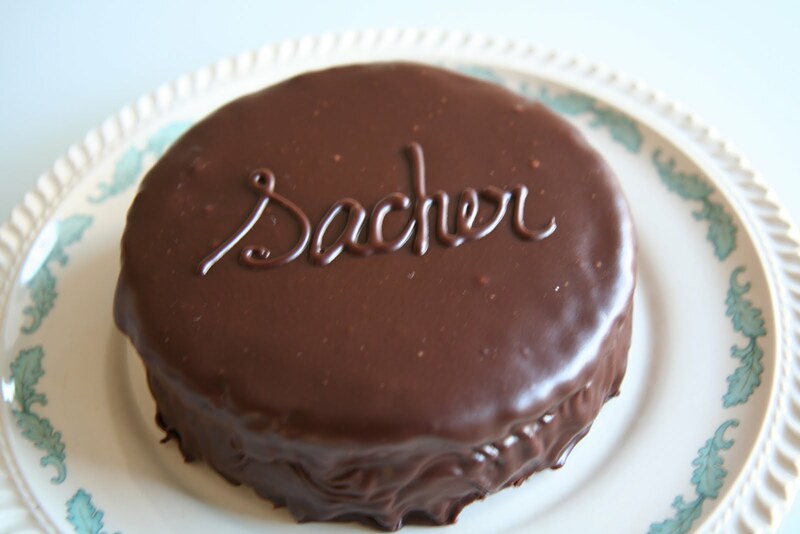 Austrian law specifies that a Sachertorte must be made with butter (not margarine or vegetable shortening), fresh eggs, apricot jam and chocolate (not cocoa powder). 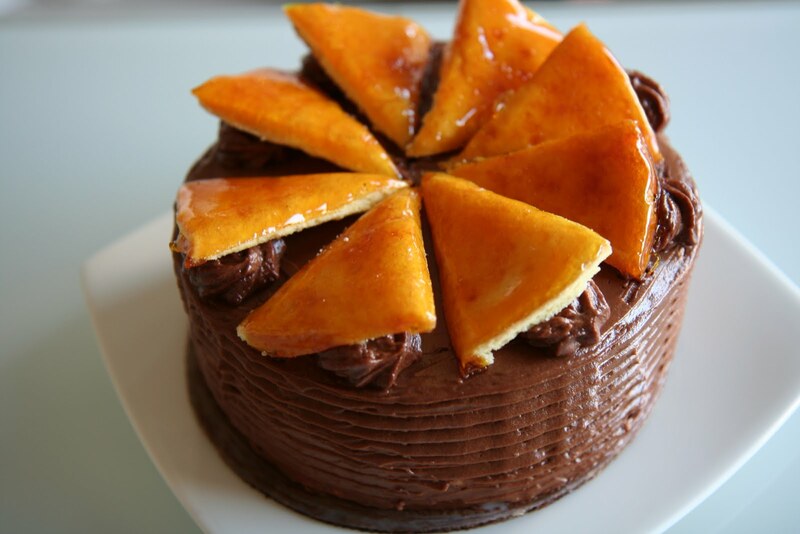 This cake is named after the Austrian pastry chef creator, Josef Dobos. 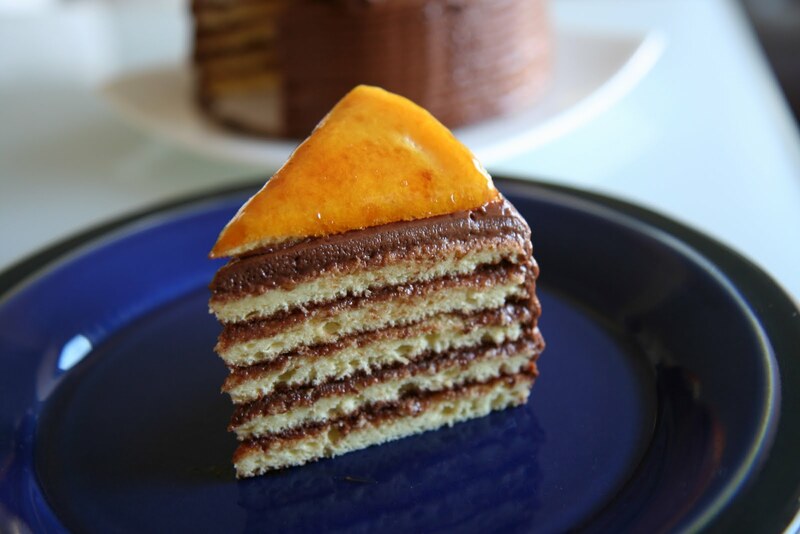 It's a 5-layer cake with the 6th layer covered in caramel as a garnish on top of the cake. Nice cursive. An "A" in the handwriting area.